Bringing Local Entrepreneurship to Life! The hunger for change is growing in Congo. This is why Paul Carlson Partnership invests in entrepreneurship in Congo – and it is alive and well! A hard worker with a knack for business, Guluya runs a farm and a small store near Loko. But neither could fully support her family and the several orphans who depend on her. 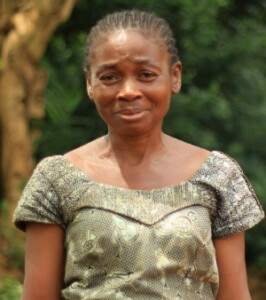 PCP provided agricultural training and equipped her with a small business loan. Guluya used the loan to build a new store and increase her inventory. Her income more than doubled! And she is maintaining her business without ongoing support! Investment in local entrepreneurs with a history of success can result in significant economic impact. Building capacity in this area can lead to sustainable transformation of entire regions. This must begin with local initiative, similar to that demonstrated by Guluya. PCP works to bring local entrepreneurship to life, encouraging development from the ground up. 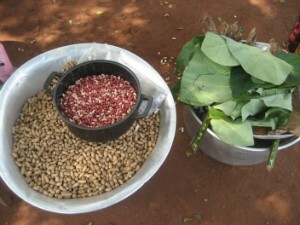 In Congo, we witness amazing and creative entrepreneurship. With a little help, such as training and a loan, local initiative can become a sustainable business. People like Guluya can feed her children and improve lives in her community. With your help, the neighbors that Guluya has inspired can grow or start businesses of their own and help improve lives in their families and in their communities.